What’s New? Has Construction Begun on The US Border Wall? Conversation Topic. Happiness in Conversation. Speaking Practice. Small Talk and Feeling Happy. Basic Grammar Review. Adverbs of Frequency and Present Simple Examples. English Grammar. Question Tags or Tag Questions? Has construction begun on The US Border Wall? As of June 20, 2017. It doesn’t look like it. On his fifth day in office, Trump ordered construction of the wall to begin using cash on hand. ProPublica reported last month that Customs and Border Protection (CBP) had just $20 million in their coffers for the project, which isn’t much when cost estimates for building a concrete wall range from $1 million to $21.6 million per mile. The Mexico–United States barrier is a series of walls and fences along the Mexico–United States border aimed at preventing illegal crossings from Mexico into the United States and vice versa. The barrier is not one continuous structure. It is a grouping of relatively short physical walls, secured in between with a “virtual fence”. 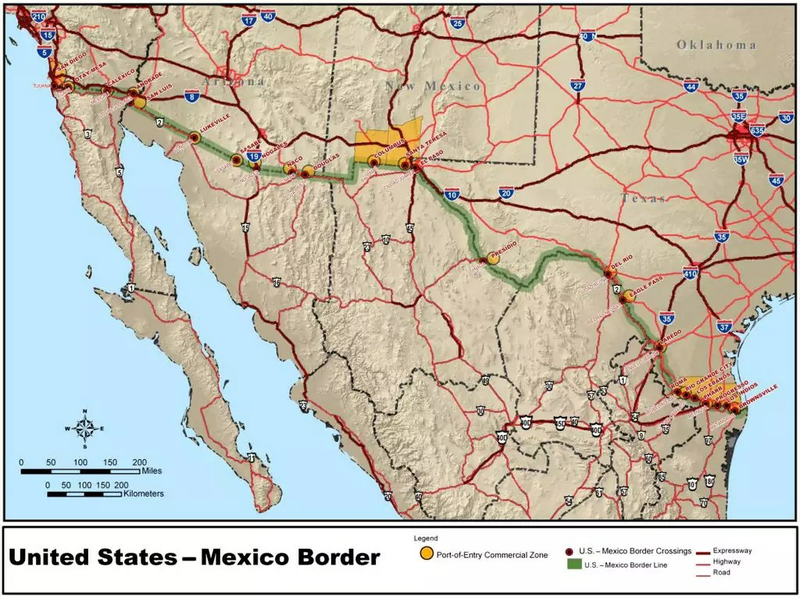 It includes a system of sensors and cameras monitored by the United States Border Patrol. 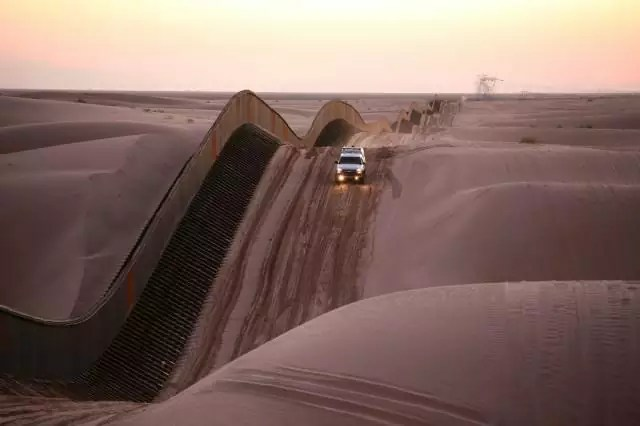 As of January 2009, U.S. Customs and Border Protection reported that it had more than 580 miles (930 km) of barriers in place. The total length of the continental border is 1,989 miles (3,201 km). lack of population and the diverse citizenry it had, it did not seem to belong to any country. This period lasted until the early 19th century, at which point the United States bought the lands known as the Louisiana Purchase from France and began to expand steadily (militarily) westward in its pursuit of Manifest Destiny. Notice the intonation of I am happy in the examples below. This intonation, with the strongest stress on am, is the emphatic, confirmatory form normally used in response. It is similar, in meaning and intonation, to the short answer form, I am – which might, in fact, be used here, with the weak stressed “happy” simply dropping off. “I just heard I passed”. Notice that the “that” is omitted in this bit of reported speech. Exam is short for examination. Physics exam, is a compound noun, it has the principal stress on the first word. I’m glad somebody’s happy. Note the omission of that in reported speech, and the strong contrastive stress on SOMEbody. It implies that the speaker herself is not happy. What’s the matter? A common idiom, meaning; What is troubling you? What is wrong? I’m just worried. Here “just” means merely or only. The term “I just heard” means very recently. “Have to” has the same meaning as must. “I guess” means the same as “I think”. Small talk and feeling happy. Linda: You look happy today! Frank: I am happy. I just heard I passed my physics exam. Linda: Congratulations! I’m glad somebody’s happy. Frank: Why? What’s the matter? Linda: Oh, I’m just worried, I guess I have to take a history exam next week. Adverbs of Frequency and Present Simple examples. Adverbs of frequency are one of the first subjects taught to new English students. Daily routines, frequent habits and facts that never occur need adverbs. Below are some examples of dialog with present simple and the use of adverbs. Practice English everyday and study your adverbs. I “always” have coffee in the morning. We “usually” visit the park on Sundays. They “frequently” visit us on weekends. I “often” go shopping with my family on weekends. We “sometimes” watch movies at the cinema. We don’t “usually” go swimming in the lake. I “seldom” listen to music while I run in the park. She “occasionally” does the shopping for her mother. They “hardly” ever visit me on Sundays. I “never” smoke cigarettes or drink beer. Question tags or tag Questions? Actually, question tags and tag questions are both correct grammar terminology along with one more. “Tail questions” are another way to refer to this subject. What are they? What is it all about? It is often about making a statement that implies previous knowledge. Question tags are also about real indirect questions. This might be something we know nothing about. The subject of the future. PLEASE NOTE! Question tags are one of the most confusing parts of English. Students are often taught to speak with rising intonation when they see a question mark. Not so with question tags if it is not a true question. Read on! The main idea is to know that asking an indirect question or making an indirect comment, is often considered more polite than a direct question. One important key to this grammar is that the two clauses oppose each other. Below are a few simple examples. I have written the negative examples with contractions. You cannot make negative question tags without contractions in the English of today. If you are using this grammar construction for now or around this time, it most likely is something you already know. If it is not a true question BE CAREFUL! Your intonation goes down with the question tag. If it is not a true question, do not speak with rising intonation. Listen to my examples carefully and practice, practice, practice. The following examples are all about the present or known facts or thoughts. I like chocolate ice cream, don’t I? You are a happy person, aren’t you? We always go out on Friday nights, don’t we? They like visiting the beach, don’t they? He likes riding his bike, doesn’t he? She loves reading books, doesn’t she? It is cold outside, isn’t it? Here are a few examples for the future. These statements are only assumptions. It is impossible to predict the future. Notice how the intonation rises at the end of the statement. It is also possible to use a level or descending intonation if we have already discussed the matter. If it is a true question because you do not know, your intonation should rise. I am going to meet you at 3 next Monday, aren’t I? You are working at home next week, aren’t you? We are going to the zoo tomorrow, aren’t we? They will be working on the building next month, won’t they? He plans to travel next week, doesn’t he? She is getting a new job next year, isn’t she? It is going to be warmer tomorrow, isn’t it? Practice your intonation and remember my explanations as above. Just remember that a true question has a ascending intonation. A fact that I believe is true, generally has a descending intonation. English is one key to financial success. Understanding, speaking, listening, reading and listening skills are all important. Reaching goals in life are all about you and the way you think. Study English everyday and success will be right around the corner.